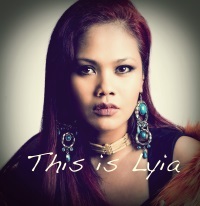 First Listen: Lyia sings a sad song "For You"
If you created a song that fused the vocals of Angela Bofill with the soulful blues arrangement and scorned lover theme of an Etta James tune, you’d come up with “For You,” an original track by Lyia Meta. Meta is of Malaccan Portuguese descent and like many Europeans she developed a love for the blues based music that dominated the 1960s and 70s. I’m sure that Meta also played more than a few Bofill tunes as the two have similar vocal ranges and stylings. “For You” is definitely for those of you who like listening to a vocalist standing in front of a piano and belting out an achingly personal tale about woman summoning the strength to give a good for nothing his walking papers. Check out “For You” below, and welcome Lyia Meta.